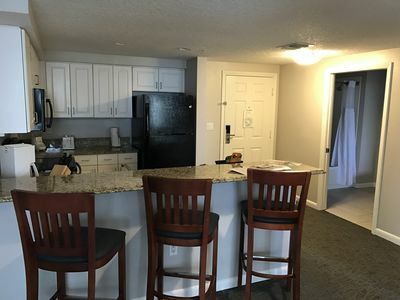 This Studio unit has been newly renovated in June 2018 with one queen size bed, pull out full sleeper sofa. 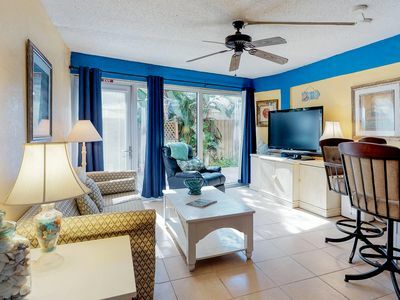 Table , 2 chairs w/ kitchenette & lift coffee table for extra dining area. 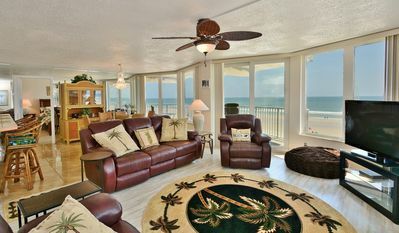 Large corner window with great view of ocean. 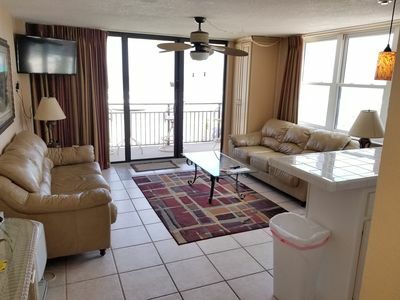 This unit is perfect for a family of 4 or a girls get away. 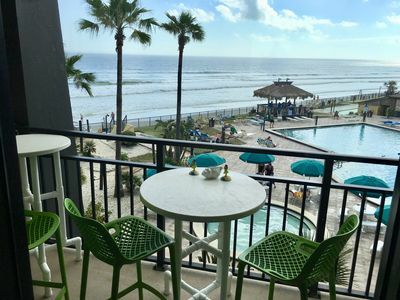 You can lay by 1 of 2 pools in comfortable lounge chairs, in which the heated pool is on our side, both pools have clear wind shields to protect you from the real windy days so you won't get cold in the winter months( January & February). 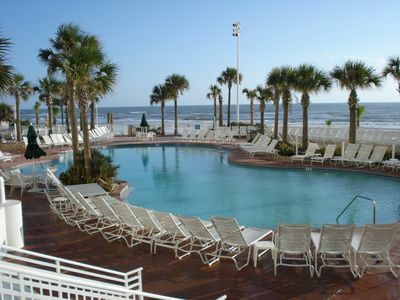 Or pull up a chair under the umbrella w/ table & read a book or listen to your music. 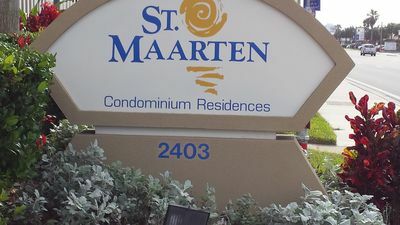 Once you get your groceries you won't need to leave the property unless you want to because everything is within walking distance. 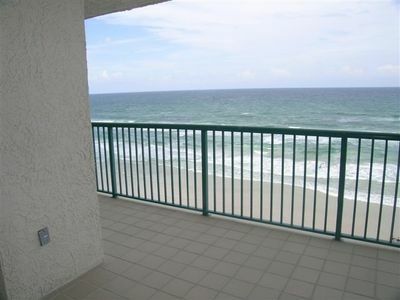 Oceanfront Condo*Non-Driving Beach*Pool*Free Wifi/Parking*Bikes*Beach Equipment. 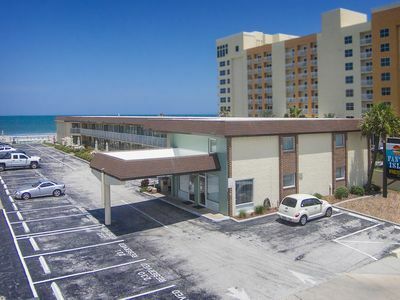 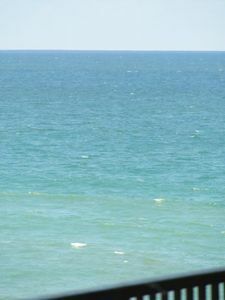 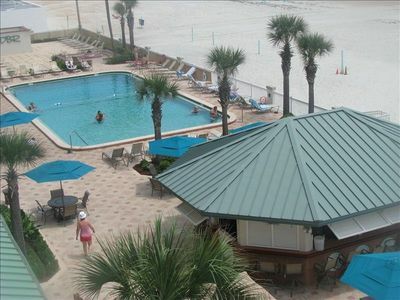 Snowbirds, Oceanfront, great Daytona Beach getaway 2br/2bt furnished. 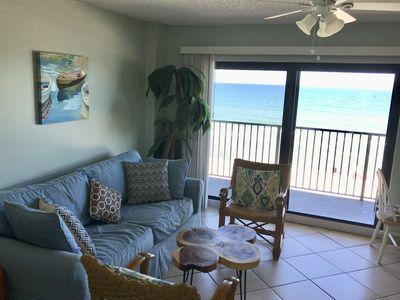 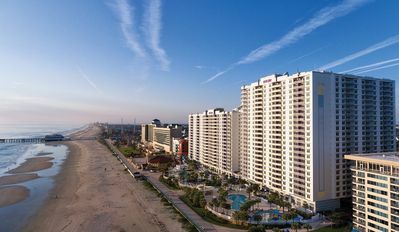 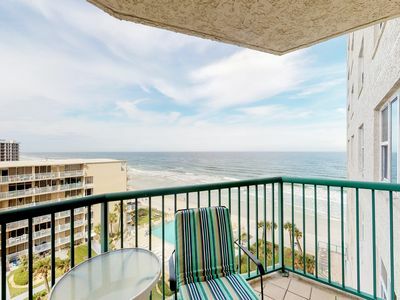 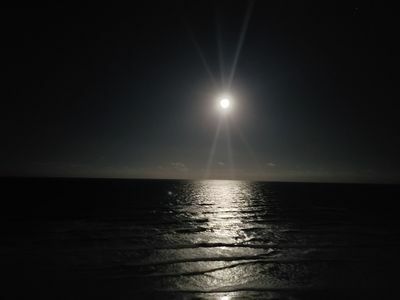 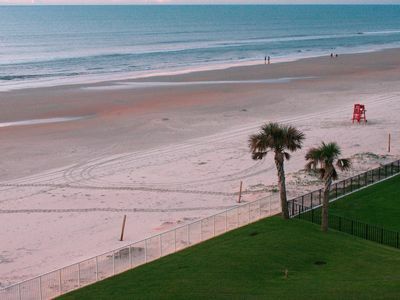 Daytona Beach Ocean View Getaway For 2 w Balcony, Free Netflix, 8th Floor. 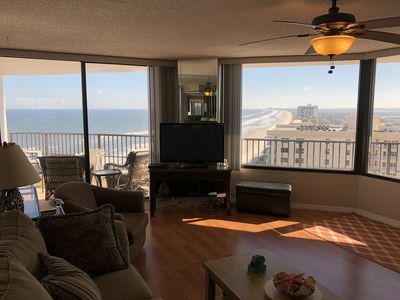 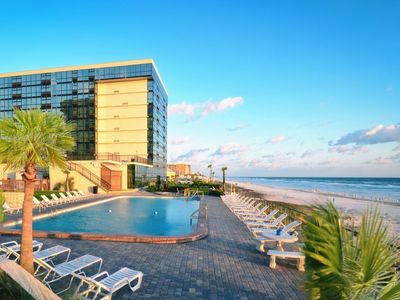 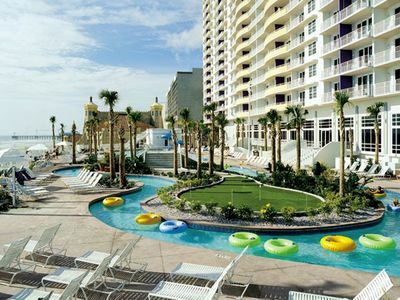 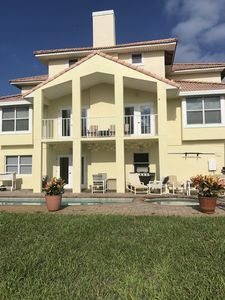 Ocean view condo at beachfront resort w/ balcony & shared pools/hot tubs/gym!